Newsletter #52- This is what Solidarity looks like and it is Spectacular. Thursday, February 5, 2016, 9:00 a.m. San Luis Obsipo, California: Kick off of the first in a series of earth changing events culminating in SLO county this year demonstrating the power of minds, hearts and souls coming together. First time activist, seasoned die hearts, religious leaders, professional groups physicians, nurses, teachers, college, high school, middle school students, our forever friends and neighbors from Santa Barbara, Ventura, Monterey and long distance cohorts up and down the coast San Jose, San Francisco, San Diego and many points in between gathering to celebrate our solidarity. A special shout out to EarthEthics and Center for Biological Diversity who pooled their resources and expertise and helped coordinate and orchestrate this D-Day Landing. And to the media crew that got the word out in editorials, letters to the editor, flyers, local talk shows and nightly news putting a beautiful, caring face and poignant words to this event. Mighty Heidi needing no introduction. And for all those thousands of petitioners and people who were present in spirit I have linked the 2 public comment sections below that brought your spirit to life. And I have to say I have attended a few of these public comment sessions in my day and this was one thoughtful, wise, vibrant, intelligent, outpouring at its best. Deserving recognition and appreciation also is the SLO Planning commission, made up of volunteers from our community, who have conducted these hearings in a manner that reflects our sense of pride and commitment to respectful dialogue critical to the process. Thank you. Next meeting to conclude public comment February 25th Board of Supervisors chambers 9:00 a.m. There were over 400 requests to speak. Amazing. Wednesday, February 10, 2016, 10:00 a.m. Please note this changing of the guard at the CCC is directly linked to the P66’s spur permit. If the Board of Supervisors does the right thing and denies the spur then P 66 would appeal the Boards decision to the Coastal Commission for a final ruling. The removal of Mr. Lester seriously compromises the integrity of the commission and its ability to render a fair unbiased decision since the commission would then be comprised of a special interest group in favor of development of our coast line and not the preservation of it. And Just one more thing while you are sending off emails. Send an email to Jennifer.Lucchesi@slc.ca.gov by February 9. 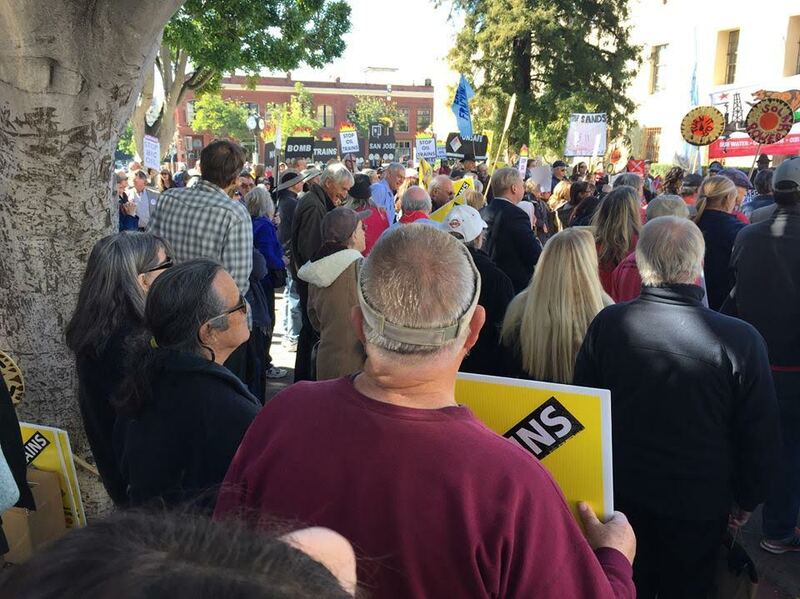 Ask that a full environmental review be prepared for the Diablo Canyon Nuclear Power Plant AND that the April 5 meeting be held in San Luis Obispo. Cut and paste letter below. Will just take a minute and make a big difference. We have an opportunity for activism that could impact future generations. Please send an email to the California State Lands Commission. This commission leases the land to PG&E for the Diablo Canyon Nuclear Power Plant. The leases expire in 2018 and 2019, and California’s Lieutenant Governor, Gavin Newsom, has expressed interest in a review of the plant before granting the leases. Please require the State Lands Commission staff to prepare a full California Environmental Quality Act (CEQA) review for the land leases at the Diablo Canyon nuclear facility near San Luis Obispo before considering a renewal of the leases, due to expire in 2018 and 2019. Furthermore, I request that the State Lands Commission public meeting scheduled for April 5 in San Francisco be moved to San Luis Obispo County. The parties most affected by the operation of the plant should have easier access to this crucial meeting. This entry was posted in All, Call to Action, Events, Newsletter and tagged oil train planning meeting. Bookmark the permalink.